Complement your Star Wars costume with this hooded cape. The black full-length cloak is made of 100% polyester and has a tie in the front. 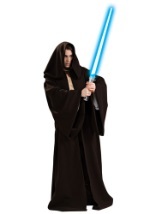 Add a bit of mystery to your Star Wars costume with this hooded cape. 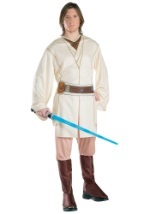 See our other robes and Star Wars costume accessories for a lightsaber or blaster accessory!